The Asia-Pacific Broadcasting Union (ABU) in cooperation with UNESCO Almaty in the Framework of the International Programme for the Development of the Communications (IPDC) project "Gender Mainstreaming in Broadcasting Organisations in the Asia-Pacific Region" has held 12 workshops and trained 328 people, including media, government organisations, academia and NGOs. 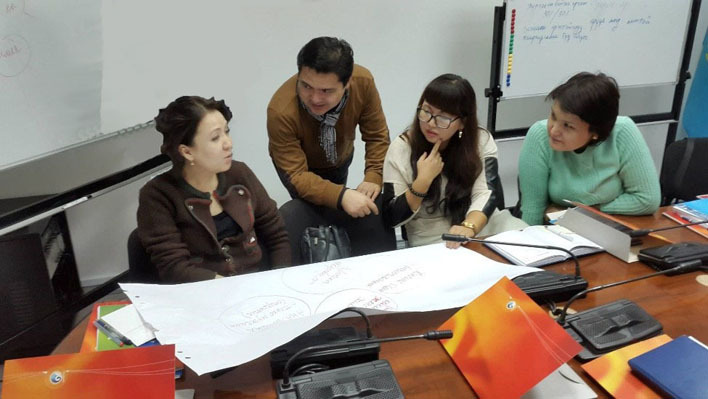 The two years of 12 training activities conducted from June 2013 to November 2014 have helped media workers from Kyrgyzstan, Kazakhstan, India, Maldives, Malaysia, Pakistan, Sri Lanka, Thailand and Vietnam tackle gender inequality and discrimination against women. This project proved to be extremely popular and all consultants voiced their recommendations for follow-up workshops with the same organisations. The Global Alliance on Media and Gender was another strong step forward in the campaign to end inequalities in the media, in both the employment of women and the way women and girls are portrayed. Activities strengthened institutional capacities and built awareness in the application of UNESCO gender mainstreaming instruments, for transparency and dialogue between management and staff. 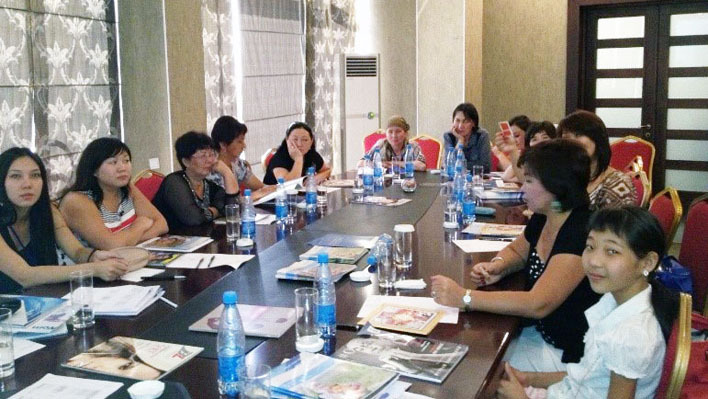 The workshop programs were accessible to rural women including female youth community media reporters from Kyrgyzstan. The ABU itself took a giant step forward at their 2013 General Assembly in Vietnam by passing the Hanoi Declaration, a pledge to guide us through the years ahead. Delegates at the Hanoi General Assembly issued an official call for greater action to achieve gender equality in the media and to include people with disabilities. Members attending the forum “Women With the Wave” on 23 October 2013 and the ABU/ITU forum on 24 October 2013, issued a Hanoi Declaration calling on governments, broadcasters and others in the media to work to end bias against women, girls and people with disabilities in and through the media. The Hanoi Declaration built on the work of the first Women With the Wave forum held in Seoul, Korea, in October 2012. At a very practical level, the ABU is helping eight member broadcasters develop and implement gender diversity plans for their organisations. The beneficiaries are: Doordarshan India, the Maldives Broadcasting Commission, RTM-Malaysia, HUM TV of Pakistan, Thai PBS, Voice of Vietnam, Kyrgyz Public Broadcasting. The "Gender Mainstreaming in Broadcasting Organisations in the Asia-Pacific Region" project has been contributed to the Global Alliance on Media and Gender, which was formally launched in Bangkok on 4 December 2013, as the culmination of a UNESCO Global Forum on Media and Gender.